Replaces stock front brush guard. 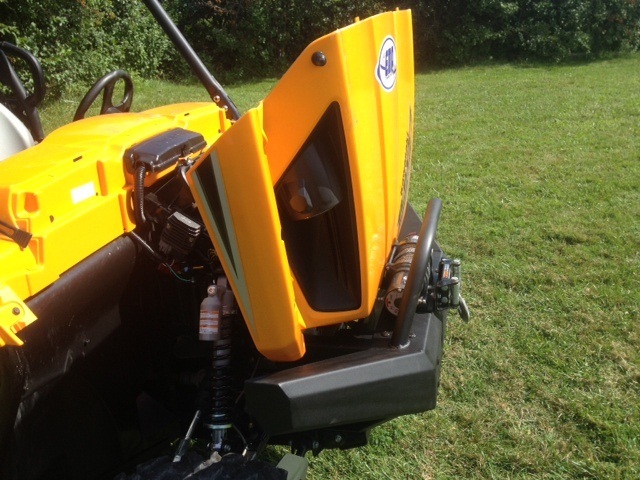 Allows hood to open completely with a Warn 4000 lb winch. Texture powder coat for superior protection. Bumper made from 1/8” thick American Steel. Mounting brackets and bash plate made from 3/16” thick American Steel. Two Winch Bolt Patterns (3" deep x 4.875" wide and 4" deep x 6" wide, for regular and wide spool winches). 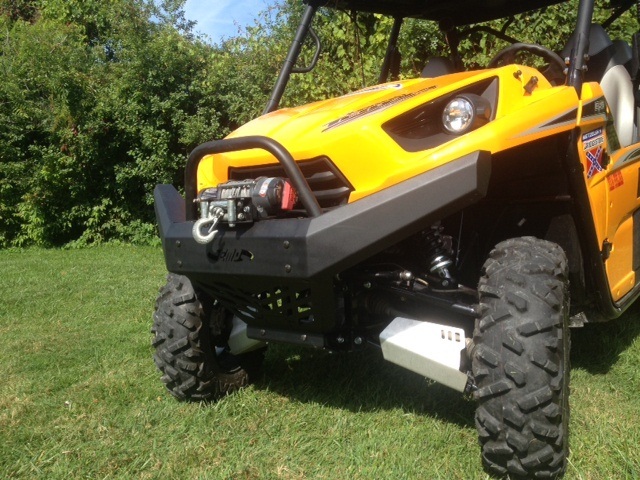 Fairlead knock out in the bash plate allows you to mount your winch in the stock location as an option. 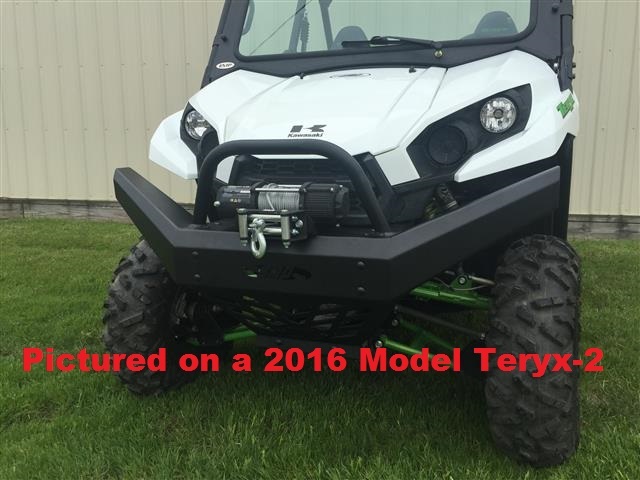 Add style and function to your Teryx4 with this brush guard. 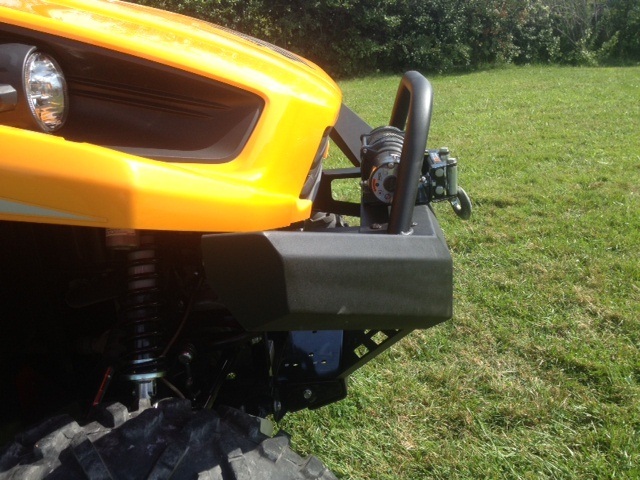 Mount you winch on top to keep it high out of the mud and water or mount it in the stock location behind the bash plate. Designed in CAD, laser cut, and CNC formed to ensure a perfect fit. .